Register to attend our Annual Symposium! Earlier this month President Donald Trump signed an executive order aimed at giving people who buy their own insurance easier access to different types of health plans that were limited under the Affordable Care Act (ACA) rules set by the Obama administration. The executive order does not make any immediate changes. The cost-sharing reduction changes are immediate but might not affect the people you expect. This could affect insurance choices for next year. Some states are suing, but the outcome is unclear. Read the full article at https://khn.org/news/what-you-need-to-know-about-changes-to-the-health-law. #AccessDenied is a new web series launched by Disability Rights Iowa. In this first episode, viewers learn about public accommodations per Title III of the Americans with Disabilities Act (ADA). New videos are released each week on the Disability Rights Iowa Facebook page at www.facebook.com/disabilityrightsiowa.org. This event will be of interest to any individual or organization that currently works with youth/young adults between the ages of 14 and 25, including youth who have disabilities, disengaged youth, and students transitioning to life beyond high school. The event will offer training to discuss strategies for working with these populations to assist you in your work. They will also be holding conversations around the needs of those working with youth. This information will be used to assist educators, workforce providers, community providers and others in identifying training needs. Based on the information, training will be offered and provided to those interested. The event is hosted by Iowa Department for the Blind and Vocational Rehabilitation's Youth Technical Assistance Center (Y-TAC). Registration fee includes light breakfast, lunch, and materials. Exhibitor registration fee includes two workshop registrations and 6′ exhibit table. Find details and registration available at www.askresource.org/symposium . In honor of National Disability Employment Awareness Month, now is a great time to learn more about ongoing Employment First (E1st) initiatives in Iowa! The E1st web page offers new training modules and other materials, including text-only and Spanish versions of the E1st booklet, “Employment First: A Family Perspective". 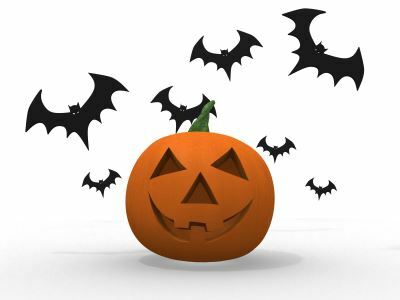 Halloween may be difficult for kids and young adults with disabilities. This resource guide offers tips and additional information to help families and their communities create a more inclusive Halloween.